Moulana Ihsaan Hendricks was born 16 September 1964 in Worcestor, 110 kilometres outside Cape Town, South Africa. He was the former president of the Muslim Judicial Council (MJC), a position he held for two-terms (ten years), an MJC Imaarah (senior council) member, Director of the Al-Quds Foundation of South Africa, Executive member of the International Union of Muslim Scholars (IUMS) and a member of the World Assembly of Muslim Youth. Moulana was known as a visionary with outstanding leadership abilities, oratory skills and a passion and willingness to serve the community. He spent his formative years in the rustic town where family relations and the principles upon which he was reared had a strong influence on his later life as an adult and his life within the MJC. His Christian grandmother and his mother were well versed in staunch traditional Christian theology where honesty and integrity were very important considerations. But it was more specifically the teachings and preaching of Moulana Ihsaan’s father, Hadjie Salie Hendricks, that helped to shape his character and personality at an impressionable and tender age. Hadjie Salie was a revert to Islam, whose honesty and integrity was unquestionable. Hadjie Salie was well-steeped in the basic principles of Emaan (faith) of Allah and firmly believed that the MJC would, in time, become the teaching ground for his eldest son. Moulana Ihsaan Hendricks attended the Bree River High School until 1980. He then enrolled at the Darul Uloom Newcastle in South Africa and after completing a 3-year course in 1983, continued his studies at the world-renowned Darul Uloom Nadwatul Ulama in Lucknow, India. He graduated in 1987 from the faculty of Shariah. Moulana became assistant Imam at the Worcestor Masjid in 1988 and for a period of two years was at the Mahadul Islamic Arabic College in Paarl and a student (and later teacher) at the Iekraamia Islamic Centre. Thereafter, Moulana became Imaam at the Wellington Mosque as well as the principal and President of the Islamic Education Council of the Boland. After a two-year stint as a lecturer in Quranic Studies at the Islamic College of South Africa (ICOSA), Moulana spent another two years at the International Islamic University in Kuala Lumpur, Malaysia. Moulana was fluent in Afrikaans, English, Arabic, Urdu and Malayu. 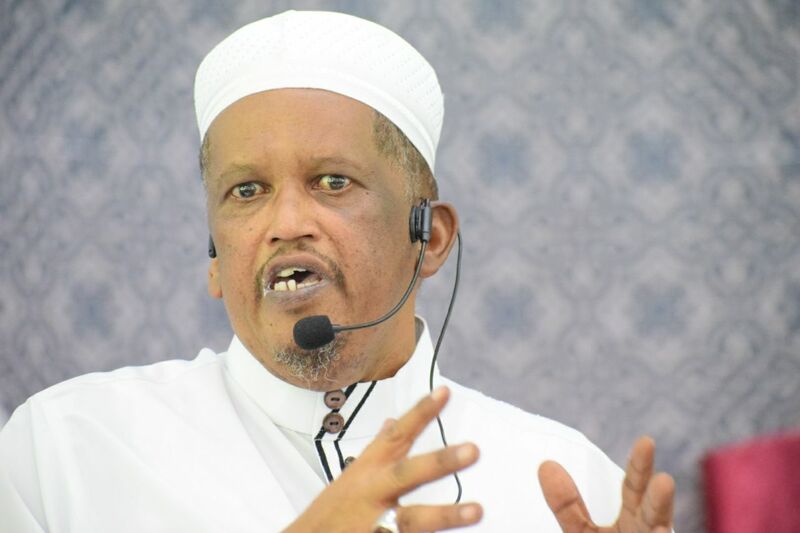 On his return to South Africa, he became Imam at the Nurul Hudaa Masjied in Belhar until 1996, then a lecturer at the Darul Arqam Islamic Institute (DAII) run by the MJC. He soon advanced to the position of Assistant Principal at DAII. Moulana’s ability as a task leader helped greatly in the advancement of projects and the establishment of departments like the Department of Quranic Affairs (DQA) and the Al-Quds Foundation. He served as first deputy president of the MJC from 2001 to 2006 under the leadership of Shaykh Ebrahim Gabriels as president. He was elected as President of the MJC from 2006 until 2016. He accepted responsibilities placed upon him as a leader and was able to interact with anyone on any hierarchical level, be it with royalty, politicians or International Ulama. He was a dedicated Islamic worker and expected the same from Ulema and staff. In 2002, Moulana Ihsaan was appointed as the head of the expanded MJC Halaal Trust Board – a position he occupied until his demise. Moulana Ihsaan’s love for improving the Muslim community at the Cape can be seen in various projects/developments. He was the founding trustee of the Muslim Broadcasting Cooperation who trades as The Voice of the Cape – the first Muslim radio station in South Africa. He was also the founder of the Nurul Hudaa Early Learning Centre, the Belhar Islamic Primary School, the Sharkireen Educare Centre in Wellington and the founder of the Al-Quds Foundation office in South Africa. Moulana Ihsaan was most vociferous on the issue of Palestine. He believed that the welfare of Palestine is integral to the Aqeedah (belief) of Muslims and therefore cannot be compromised. In 2011, Moulana Ihsaan founded the Al Quds Foundation office in South Africa. It was a culmination of the vision of the late Shaykh Nazeem Mohammed (R.A). Moulana Ihsaan was red flagged in Zionist Occupied Israel as persona non-grata and banned from the country. The Zionist Israeli Regime viewed him as a threat to the Zionist state of Israel. It was during this time that he met with the leaders of the Al-Quds International Institution in Jordan. At this historic and strategic meeting, the opening of a branch of the Al-Quds Foundation in South Africa was discussed. Six months after this commitment, Moulana Ihsaan Hendricks, Shaykh Ebrahim Gabriels and others, opened the office in Athlone, Cape Town. This office remains as a bastion of resistance against the Zionist Israeli state and keeps the flame alive for a free and liberated Palestine. Moulana Ihsaan was instrumental in taking the South African contribution to the Palestinians who have expressed their gratitude for the undying and unwavering support for a free Palestine. He was awarded the “Defender of Masjid al-Aqsa” award in 2008 and led the Africa 1 Aid Convoy to Gaza in 2011.